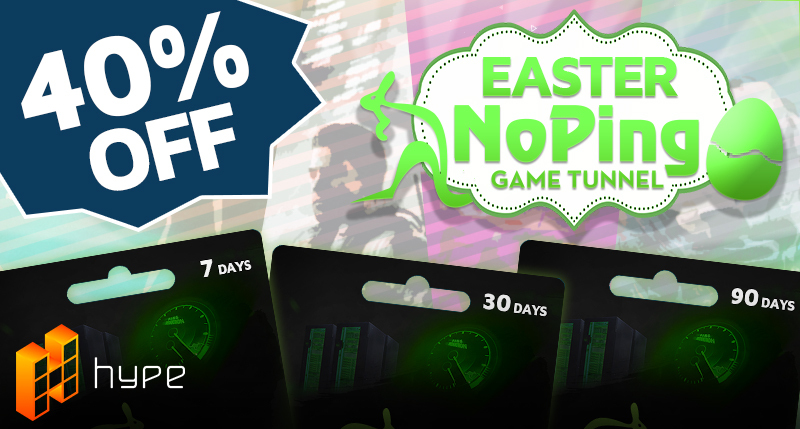 Easter Promotion Noping starts this Monday! Noping will perform an Easter action aimed to everyone who interact with our Facebook, Blog and Twitter! We're doing the promotion in partnership with Hype, one of the greatest Steam and Xbox keys sales site, with more than 1,000 games! From 03/26 to 06/04, several tips will be posted for you to hunt Game Keys and Noping Keys in our social media and Blog. To know the "game hunting" is going to be, you need to follow our posts on Facebook, twitter and Blog. To make your Easter even better, we're giving 40% off to everyone who purchases NoPing's monthly plans! Also participate in our Easter give away and compete for a $ 50 Steam Card + 90 Day NoPing Key + X COM 2 Game Key. Every gamer knows, playing with a bad latency affect the game play. When you are playing, your connection does huge turns to connect you to the server of your games. Wouldn't it be awesome if you had a direct connection with no complications? With NoPing Game Tunnel you can. Thanks to its more than 500 dedicated servers around the world, you can find the best route, ensuring a lower ping and more stability in your favorite games.